If you’re looking to lose weight, one easy thing that you can do is to swap out your double-double coffee and donut for a healthy breakfast smoothie. Packed with fruits and vegetables, smoothies are high in vitamins and low in processed sugars, making them perfect for jump starting your metabolism in the morning. Add protein and fibre, and you’ll be full and satisfied until lunch. 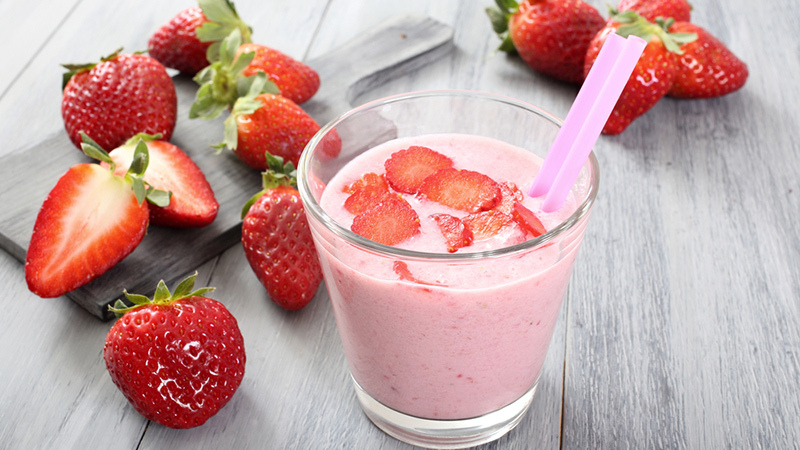 Here are some of our favourite breakfast smoothie recipes to try. It be challenging to get enough protein in your diet when you’re vegan. With soy milk, tofu and peanut butter, this silky smooth breakfast smoothie from Pop Sugar is sure to fill you up and give your body the protein it needs. Make sure that you blend this until it’s totally smooth. It won’t be nearly as appetizing if it has little chunks of tofu still floating around in it. 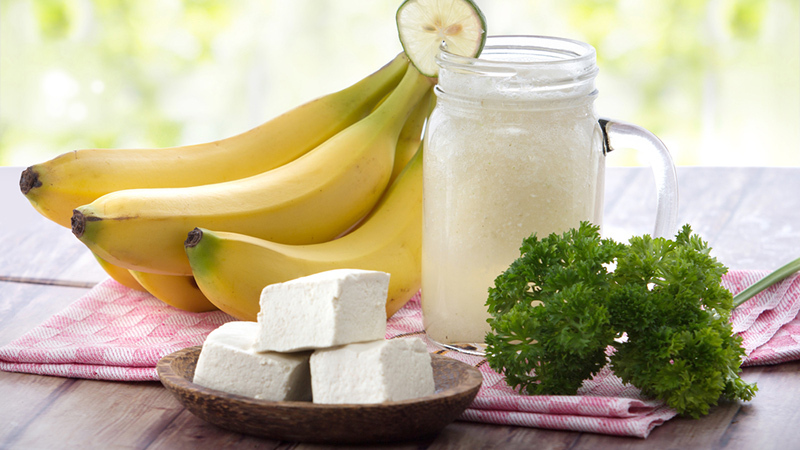 This smoothie offers up over 17 grams of protein and 4.8 grams of dietary fibre per serving. Not a bad way to start the day. 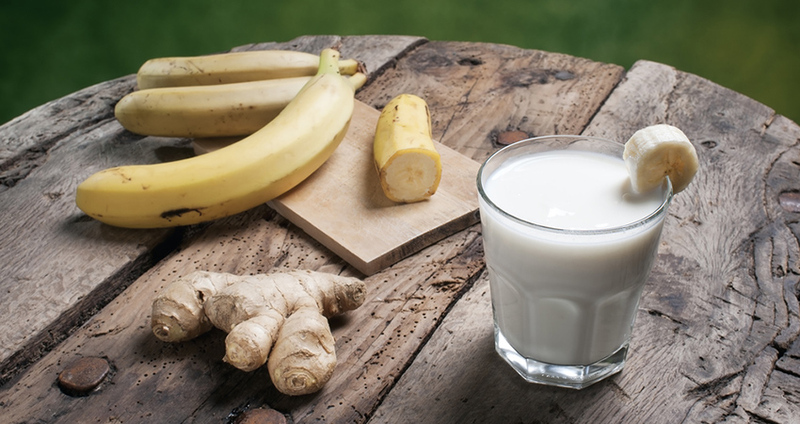 Although ginger in a breakfast smoothie may sound strange, it’s excellent for soothing tummy trouble, helping with problems like nausea and indigestion — and it tastes surprisingly delicious. 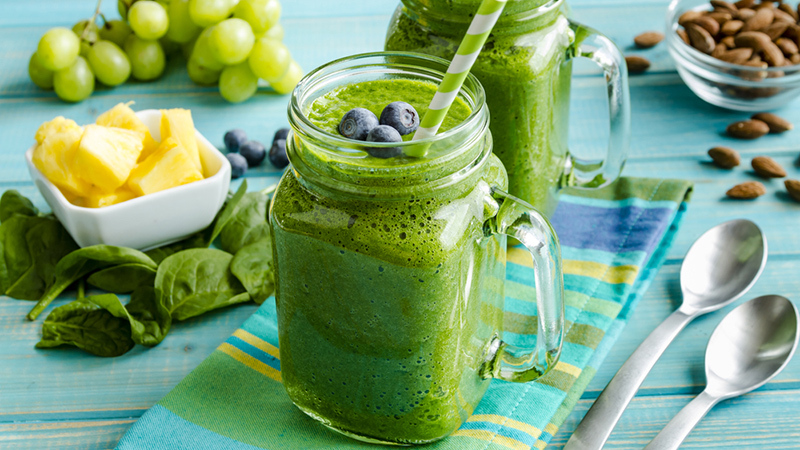 From Real Simple comes this sweet and fun smoothie recipe. The spinach will help you get in your fibre, niacin, vitamin A, vitamin C, zinc, and iron. Meanwhile, the grapes add sweetness and the coconut milk gives it a creamy, decadent texture. 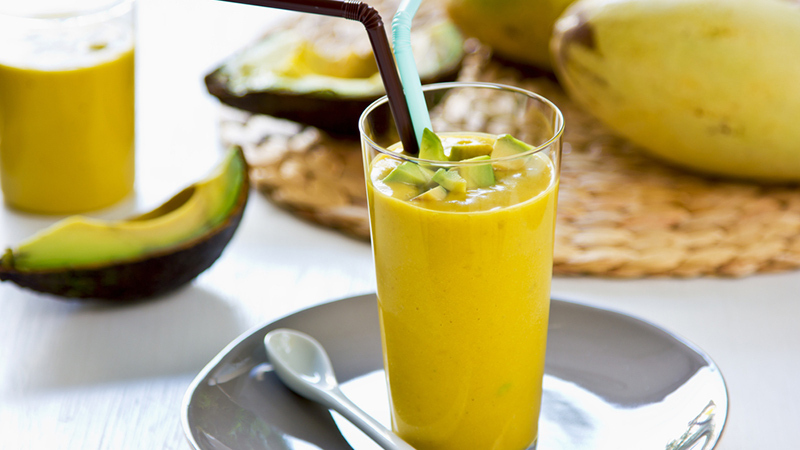 This avocado mango smoothie surprise is sweet, smooth and delicious. It has a hint of sweetness from the mango and honey, but it’s full of healthy fats (from the avocado) to keep you feeling full for longer. Reader’s Digest offers up this quick and easy smoothie recipe that’s great for breakfast or a light snack. While this one calls for sugar, if your berries are sweet enough, you may find that you actually don’t need it. Cut the tops from the strawberries and blend all the ingredients. If you want to be fancy, you can cut some of the strawberries down the centre to garnish the top of your glass. Or if you’re in a hurry, you can just chug the whole thing down!